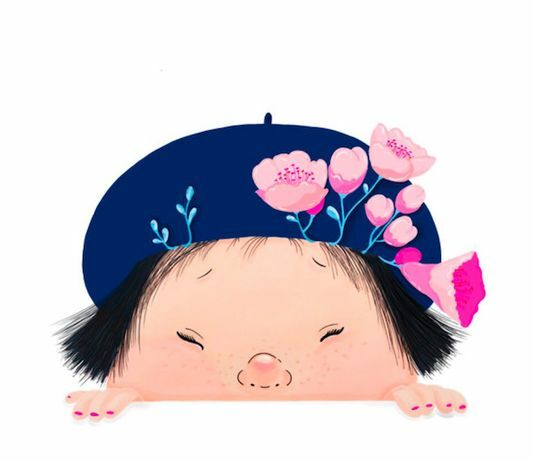 "Cherry Blossom" is an exhibition of illustrations by Margarita Tsoy. Margarita is a self-taught illustrator, born and raised in the Far East of Russia. When she was 15 years old, Margarita moved to the UK for 1 year, which eventually lasted for more than a decade. She graduated with a Law degree and now works in London as a Tax specialist, when she is not drawing. Margarita’s art is inspired by the two most important women in her life: her mama, and baby sister. Having left home when her sister was 3 years old and only seeing her family a couple of times a year, Margarita’s illustrations have been a way of catching up with all those years she had missed her sister growing up; a chance to re-live memories of her own childhood and important events in her family’s life, and to record them. “Cherry Blossom” exhibition is dedicated to the unconditional, unwavering love between mothers, daughters and sisters. This exhibition is comprised of pieces created with an uncompromising and unconventional medium, lightfast alcohol markers, and digital art.